PS4 update 5.0 is out of beta and into the world. Sony flipped the switch on the latest big patch this week, giving users a bunch of new social options (some of which you may have already seen if you signed up to test the update) for team play and following accounts. 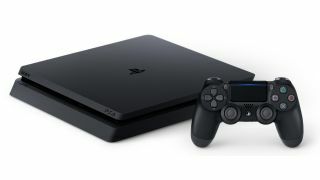 These are five of the biggest changes that you'll want to check out the next time you get a few minutes to re-acquaint yourself with your PlayStation. Sony's amping up PS4's built-in tournament options with dedicated team support. As of Thursday, any player will be able to form their own team or join somebody else's to participate in team tournaments (you can own or belong to up to 60 teams in total). Teams will have their own customizable info pages, and you can head over to the Events section of your PS4 to start setting yours up. The first games with team tournament support will be Uncharted 4: A Thief's End, Uncharted: The Lost Legacy, World of Tanks, and Mantis Burn Racing. The ability to be "followed' on PlayStation Network is no longer the sole domain of those elite few verified accounts. Now you can follow anybody to have their activity (including broadcasts) appear in your feed, assuming they have that option enabled in their privacy settings. A new section under Friends will offer up an automated selection of accounts to follow as well, based on several criteria including which games you've played recently. The old family account system on PSN was useful but also awfully inflexible. Update 5.0 sets out some new account settings to make things easier to handle: Family Manager, who is basically the designated administrator for a family, and Parent/Guardian privileges, which the admin can bestow on other family member accounts to give them parental controls. Individual Child accounts can now be given separate settings like age rating restrictions as well. Maybe you have one set of friends that you only ever play Destiny 2 with, and another that you only ever play Rocket League with. They're on the same friends list, though, so you still have to scroll through all of them to send invites to whichever set you're teaming up with this time. With update 5.0, you can put them all in their own handy little buckets with custom friend lists. Message or invite just the ones you want all at once. Want to see when your friends are online and messaging you, but not when you're trying to watch Netflix or other video on demand stuff? Now you have that option under the Notification settings. This one is way overdue. Need some more stuff to play on your freshly updated console? Check out our list of the best PS4 games.